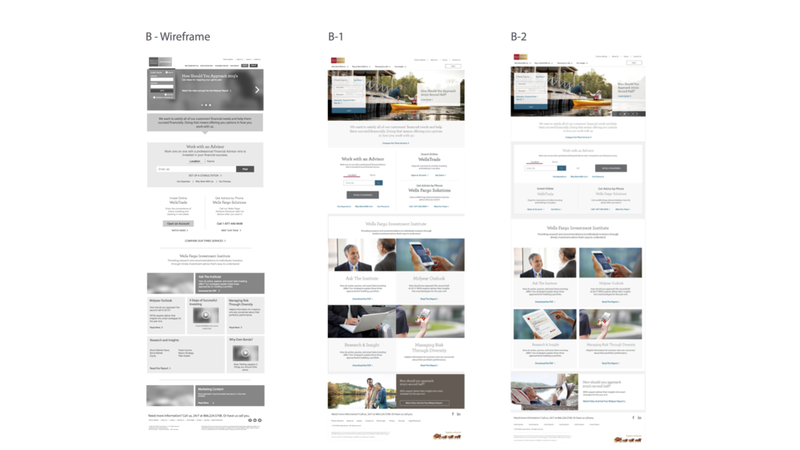 Design key moments of the Wells Fargo Advisors pre-authenticated experience including the Homepage. 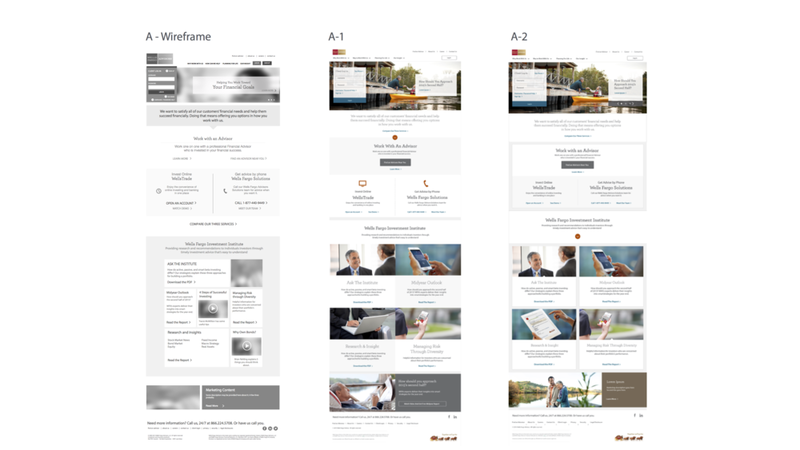 The design evolution for the Wells Fargo Advisors (WFA) homepage spanned across weeks of iterations and collaboration between product owners, UX, and visual design. Multiple user tests were run in order to evaluate the emotional resonance and gauge product understandability with existing WFA clients. The initial designs of the homepage were created by me along with two other UX designers on the project. From there on, I led the UX on further iterations including collaboration with visual design and then further iterating on the design during our user testing sessions. Due to legal compliance reasons a majority of the content for the website had been pre-set. This included navigation, product/article naming and description, and certain photography. I worked with the product owners to design around these restrictions as well as provide recommendations whenever possible.